"You understand my position", requested Justice A. K. Sikri on Thursday at the outset of the hearing on the PIL by NGO Common Cause seeking quashing of M. Nageshwar Rao's appointment as the interim CBI Director, conveying his decision to recuse himself from the matter. "I agree, but you understand our position. We wanted the matter to be heard early but that was not allowed. Finally, when it came to be listed before the Chief Justice, he recused...If Your Lordship felt that you could not hear it, then you should have recused a day before and not when the matter comes up. We get a feeling that Your Lordships do not want it to be heard...", contended Senior Counsel Dushyant Dave for the petitioner-organisation. "You are right. But the matter was before the CJI and the order (for the petition to be placed before Court 2) was not passed on the administrative side. If it were so, I would have recused earlier. It was my predicament that it was a judicial order. How could I recuse without sitting? 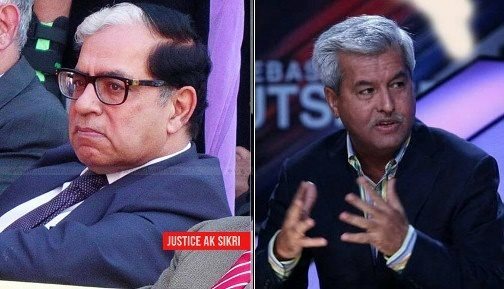 ", reflected Justice Sikri. "But the meeting (of the Selection Committee for the appointment of the CBI Director) is today and we wanted Directions! This court went out of its way to issue directions to convene a meeting to remove (Alok Verma). And then the Committee does not meet for three weeks? Now the court is silent and the government is silent?...there is nothing personal here. It is all about public interest. This sends out a very wrong signal! ", persisted Mr. Dave. "I am not sure if I should say this but yes, this matter raises some important and interesting questions...it can be taken up tomorrow itself. That is no problem...", concurred Justice Sikri. "I have full faith in Your Lordships. Your participation in the previous meeting (of the Selection Committee on January 10 removing Verma from the helm of affairs of the CBI) has nothing to do with this matter. I beg Your Lordship to take it up. I have no problem", pleaded the Senior Advocate. However, Justice Sikri proceeded to schedule the petition for hearing before an appropriate bench on Friday.